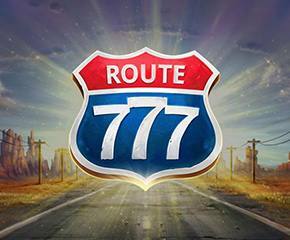 Route 777 is a one-line slot powered by ELK Studios that gives you an amazing gaming experience. Get ready for a ride on your bike through the highway 78 of New York. The slots game is full of vibrant graphics, amazing bonus features, and built-in betting strategies. It is a perfect mix of classic slot symbols, free spins, respins and a modern dot matrix along with the retro sound effects. It is available to play on desktop devices as well as smartphones. To begin the game, you need to place a bet that can range from 0.2 to 100. It is a slot with 3 reels and one payline. Some of the symbols of the game are BARS, lemons, cherries, and 7s. The Route 777 is the highest level symbol that can pay you up to 5000 coins on the maximum bet. When you are getting a maximum number of coins, and you land up with Red bonus symbol on the reel 3, you will trigger the bonus game. In the bonus game, you will be given three routes to choose. Selecting the route will let you know the bonus amount that you have won which can be thirty coins, fifty or hundred coins. Route 777 slots feature built-in betting strategies that really attract the players to have an exciting game ahead. All the strategies help the players to take advantage of various winning and losing combinations to enable to win more cash prizes. ‘Optimiser’ helps to change the bet level automatically according to the selected percentage of the balance – 1%, 2%, 5% and 10%. ‘Booster’ strategy helps you to raise your bet level by one after you lose once. ‘Leveller’ strategy lets you raise your bet two levels in case you lose five games in a row. ‘Jumper’ lets you raise the bet by one level every time you win a game. Bonus features: There are two bonus features to take advantage of i.e. Overtake Respins feature which gets triggered when you land up with matching strips featuring identical symbols on the first and second reel and you get five re-spins. On every spin, the reel 1 and 2 remains identical symbols with the third reel in action. The second bonus feature is ‘Free Spin feature’ which get triggered when you land up with three scatter symbols i.e. helmet skull giving you five free spins initially and eventually has the power to add up to fifteen free spins. Landing up with three scatter symbols on the reel will trigger the fortune wheel that you keep spinning until you get three identical 7s that can give you big winnings or you will get the Stop. The players can literally experience the wind on the roads showering payouts their way! 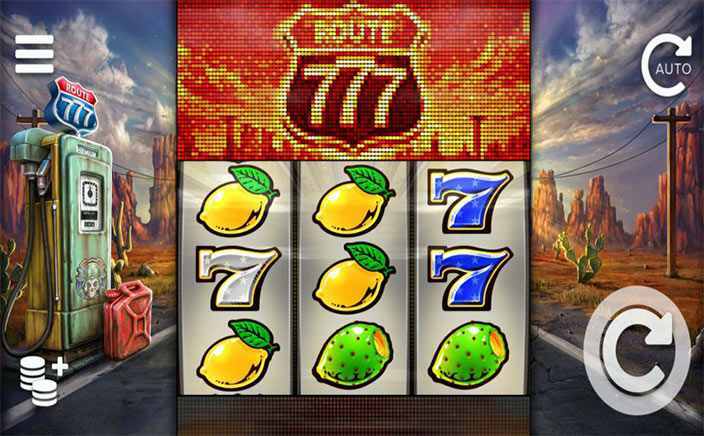 Route 777 slots having an RTP of 96.3% makes it a must play for the players.